We’re just back from a whirlwind SWIP-Ireland conference. 3 fantastic days of philosophy with 64 speakers and 6 keynotes; an astonishing organisational feat on the part of Maria Baghramian and SWIP-Ireland, which we were honoured to be part of – especially at a such a crucial moment in Irish history. 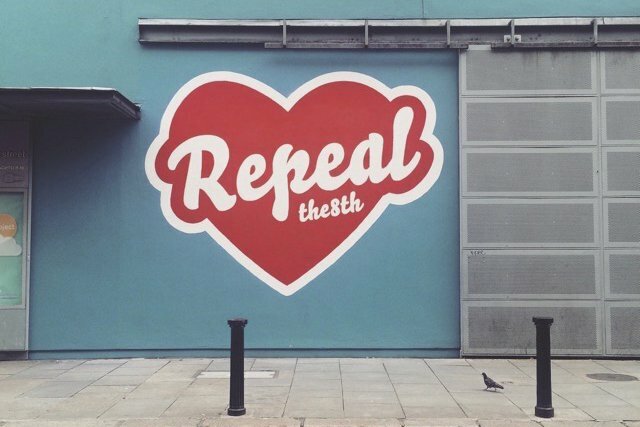 A referendum will be held on 25 May to determine whether the 8th Amendment to the Irish constitution – which gives constitutional rights to the unborn to be born on a par with those of the mother – should be repealed. The 8th is part of a wider, historic and systematic theocratic and cultural insistence on the policing and shaming of women’s bodies, one that has – until now – received constitutional sanction, and which has harmed women for generations, physically and psychologically, since the foundation of the state. PreviousRead Ana Barandalla’s super post on Stereotype Threat! NextWe’re in the 6th Hannah Directory! !